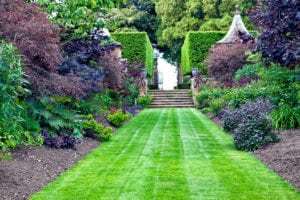 Many of us notice yards and garden areas adorned with pine needles and mulch through the year and they really add to the overall esthetics of the property. What many folks want to know is, when is the best time to install pine needles/mulch? What are some methods that the professionals take to make the pine needles/mulch look great but also effective and functional? 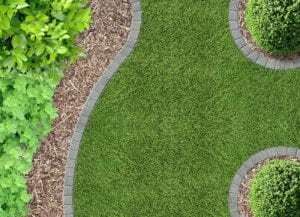 Franklin Clapp, Division Manager with Baxter Landscape Management, uses his 14 years of landscaping experience to discuss this topic. Q: When is the best time to install something like pine needles and why? A: The best time to install pine needles (and the like) would be in January or February. This is once the final leaf removal, winter pruning, and cutbacks have all been completed. The reason being is that you do not want to be working in the beds where the mulch/pine needles are and then rake or blow out the brand new pine needles/mulch afterwards. If the installation area has very few leaves and you’ve already completed pruning and cutbacks, then installation is possible in December if you wish. If you wait until March or after to have your pine needles installed it is hard to find good looking/good quality pine needles at a reasonable price. Q: Folding in/tucking pine needles is when the needles are seemingly rolled back and tucked into the bed. Why is this important? A: It is very important to tuck and roll the pine needles after they are installed. This process gives the install job a nice finished look. The process also helps keep the pine needles off of the sidewalks/walkways longer and helps define the edges of the beds which makes it easier when mowing around the areas. Q: Other than making the area look great, what it the purpose of having something like pine needles or mulch? A: Pine needles and mulch help provide a barrier to assist in holding in moisture for the plants in the beds. It helps control weeds and supports against erosion in those areas as well. Also, over time as the pine needles and mulch break down it adds organic matter to the soil profile which is beneficial to the overall health of the soil and plant-life.